SS Billiards - Pinball Circus! 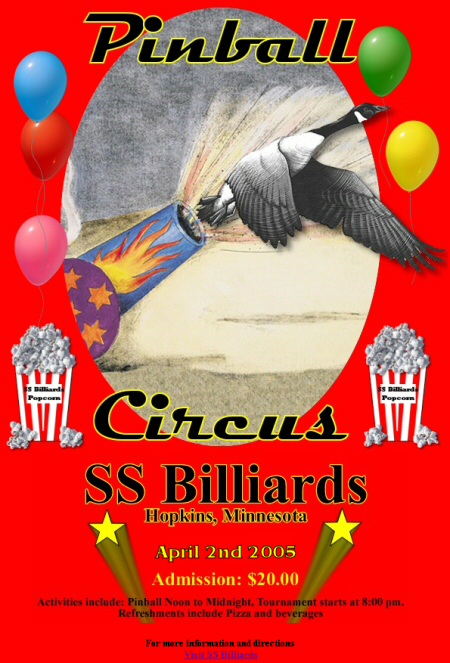 On Saturday April 2nd, 2005 -- from noon to midnight -- SS Billiards hosted Pinball Circus. To read more about our 2nd Pinball Circus check out Todd Andersen's write up on the Pinball News.